January 30, 2015 by Luis Umpierre Jr. and Luis Umpierre Sr.
Congratulations to Captain Mike Bady from New York for capitalizing on his first Tarpon. Thank you for allowing us to serve you, work towards making your dream come true and for such a great review. 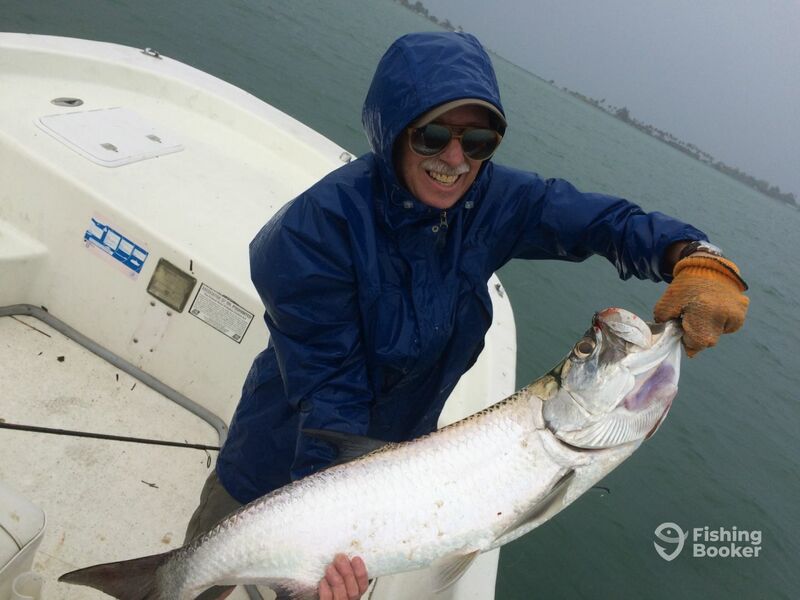 “I run my own charter fishing business in New York so I really understand all about good service and working hard to find the fish for your customers. Capt. Luis performed his duties flawlessly. In just a 5 hour trip I had 6 Tarpon on the line and 3 went airborne several times! After refining my technique I finally landed the third fish, the beautiful 20-25# class fish shown here on light spinning tackle. I have caught many different species over my lifetime, but landing a nice Tarpon was my goal for this trip. Capt. Luis helped me to realize my dream!! I would highly recommend his charter service. Make sure you go out with him if your are in the Long Island, NY area, cause he really knows about fishing, is an amazing guy and has alot of experience fishing for Striped Bass in the northeastern shores of New York. PS: I’m including a photo off his great catch.